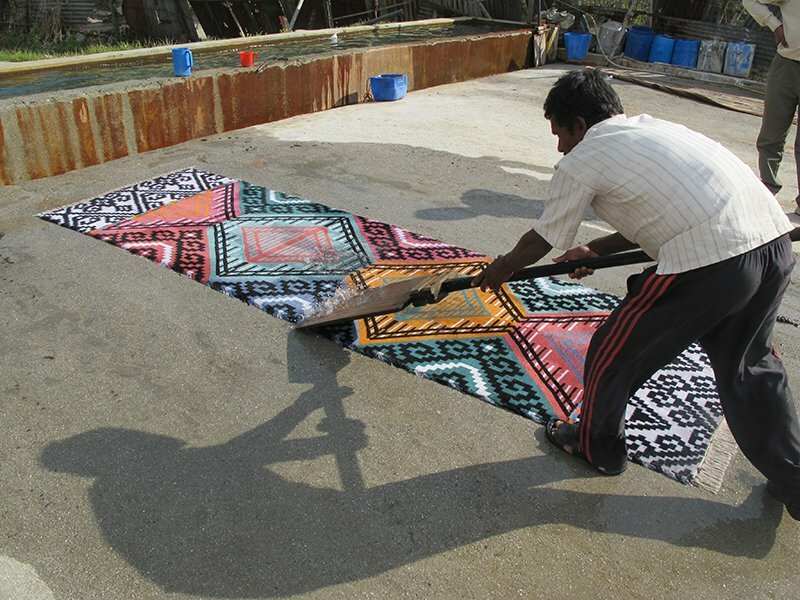 New York-based textile designer Inigo Elizalde is known for beautifully crafted, eclectic carpets. As Elizalde explains in this week's feature story, the concepts behind his designs come from a wide array of sources, so he's always on the lookout for new opportunities for inspiration. 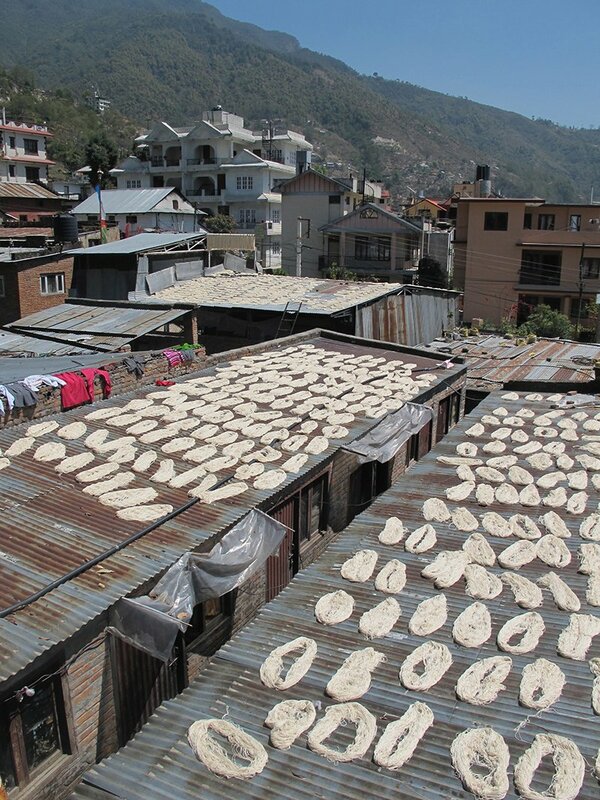 When it comes to the process, though, Elizalde errs on the side of tradition: He's happily worked with the same production mill in Nepal for years. 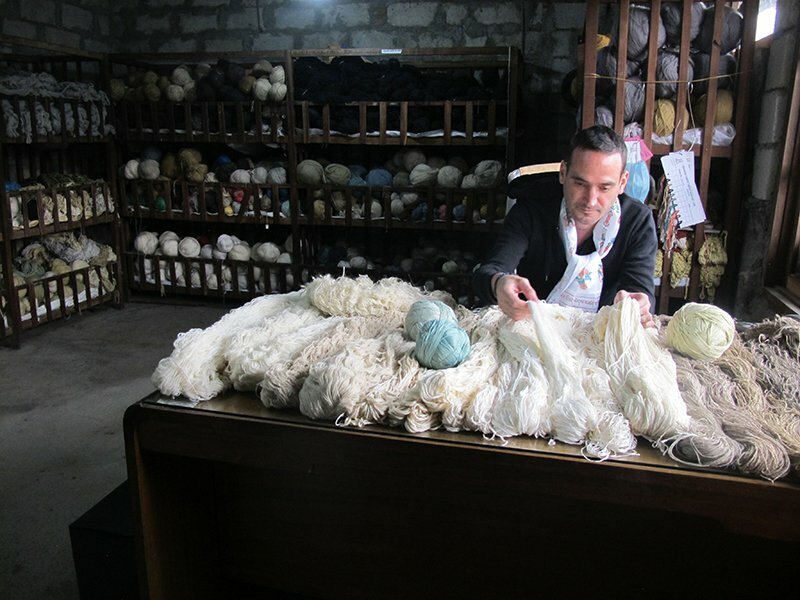 Check out the fantastic behind-the-scenes photos from Elizalde's most recent trip to the Kathmandu mill below. 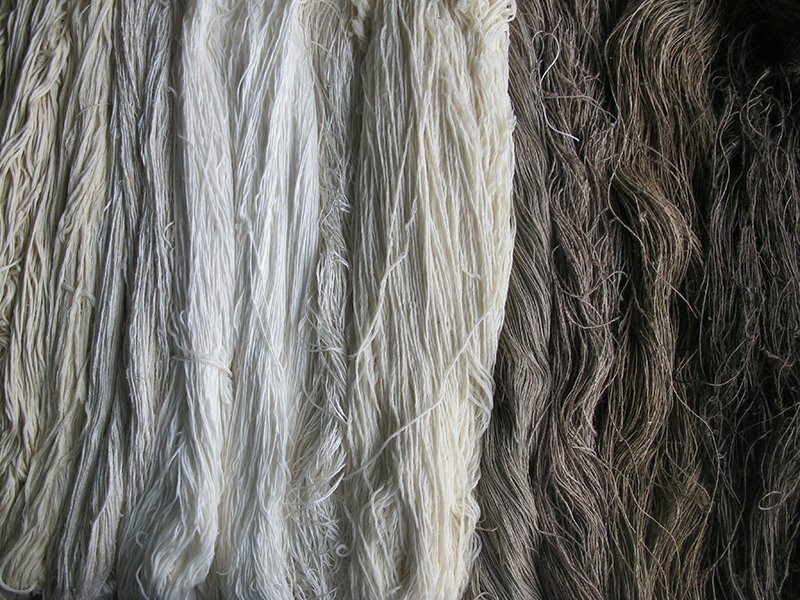 Describing his experiences with the mill and its artisans, Elizalde says, "There really is no better way to learn production than to actually be present and get involved right at the source. The first time I went to visit, my head basically exploded. I learned so very much; it was a game-changer. 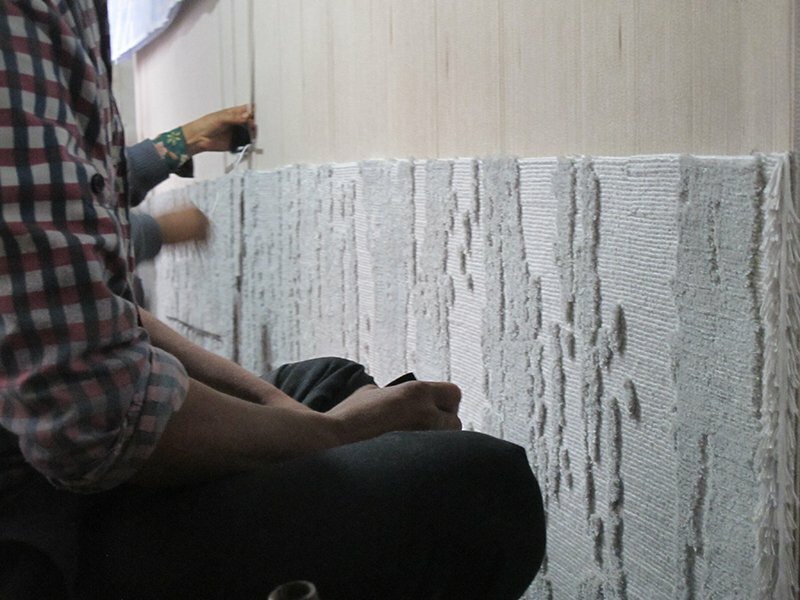 Until then, we had only used the usual carpet materials, like wool and silk and bamboo. 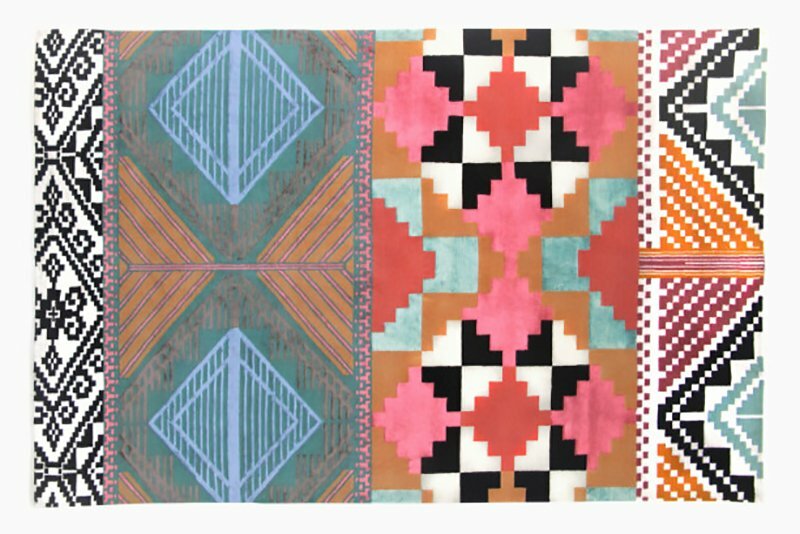 In the following collection [thanks to that visit], we really sunk our teeth in with material research and used everything from cactus fibers and hemp to nettle and other grasses—the list goes on and on." 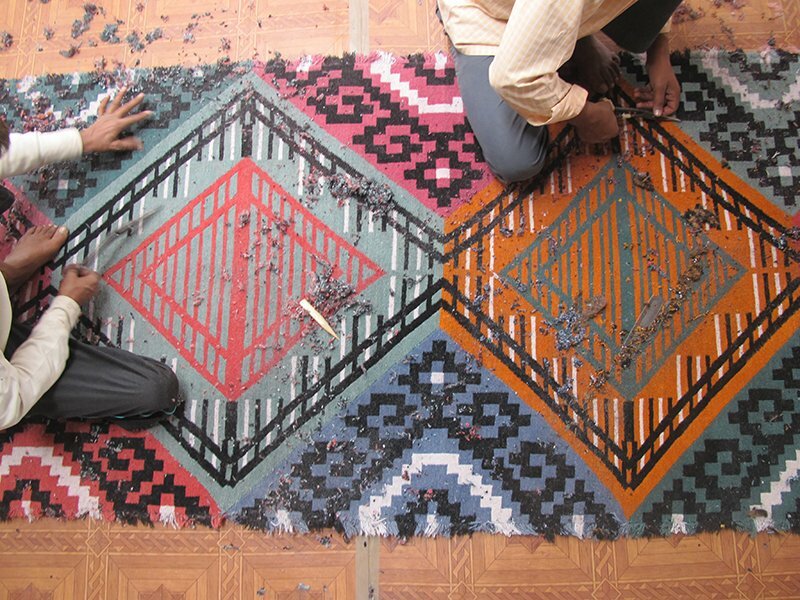 Inigo Elizalde makes the initial material selection for his latest collection at a mill in Nepal. 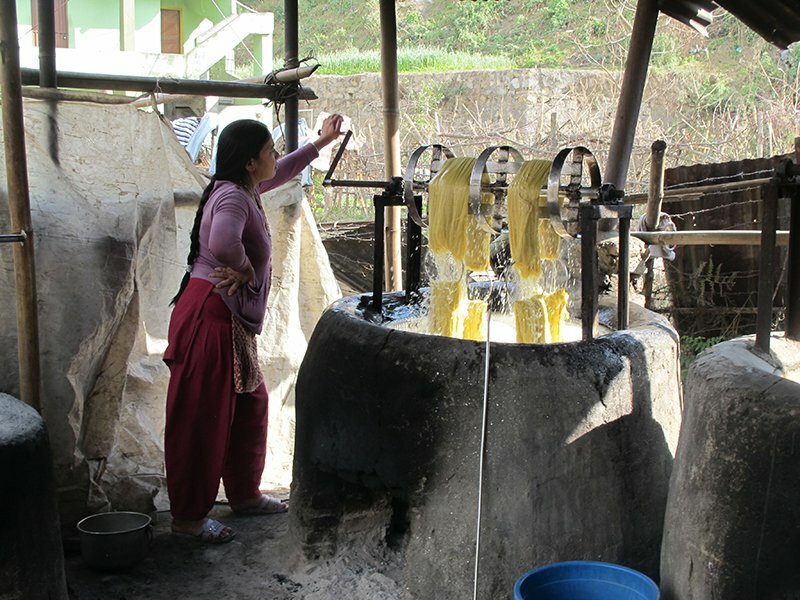 Materials are dyed and washed before weaving. Hanks of wool dry on rooftops. 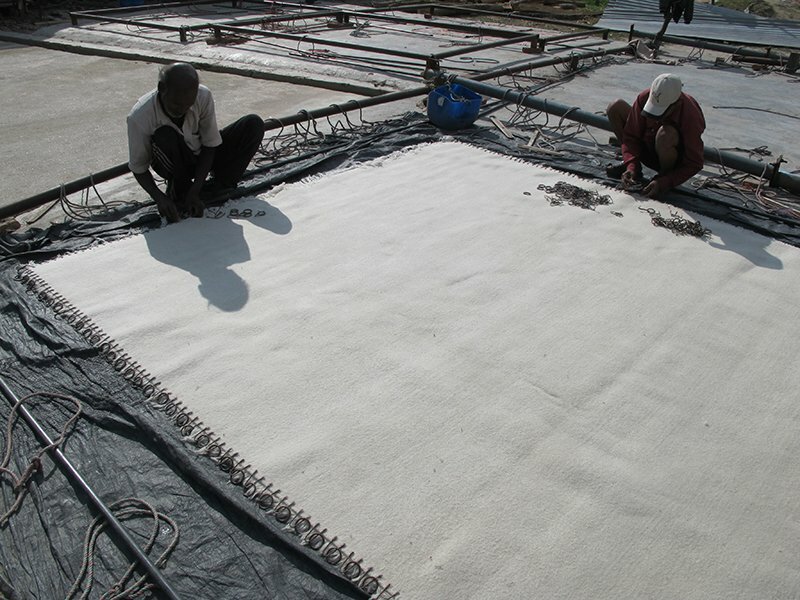 One of Elizalde's rugs in the process of being handwoven. Elizalde works with the mill's master carver.